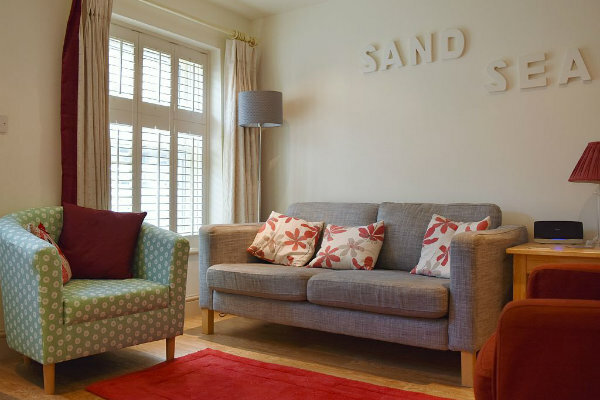 Elgin Cottage is a two bedroom, Grade 2 listed cottage in the historic high street of Wells-next-the-Sea. Its location in the heart of the town means that everything is on your doorstep. The harbour is just 450 yards away, and it is perfectly located to explore stunning North Norfolk. Downstairs is a living room with comfortable seating and a dining table. There is a Smart TV (with freesat, as well as Netflix and iPlayer using guests’ own accounts), wifi and a DVD player. The kitchen is well equipped and contains an oven, dishwasher, microwave. A door from the kitchen leads to the courtyard garden. Stairs from the living room lead to the master bedroom with views over the High Street. A bathroom with a shower is also on this level. Stairs accessed via a door from the master bedroom lead to a large room with three beds, tucked away at the top of the house. Please note that although the cottage can sleep five, this is recommended ideally for a family with three children, not five adults. 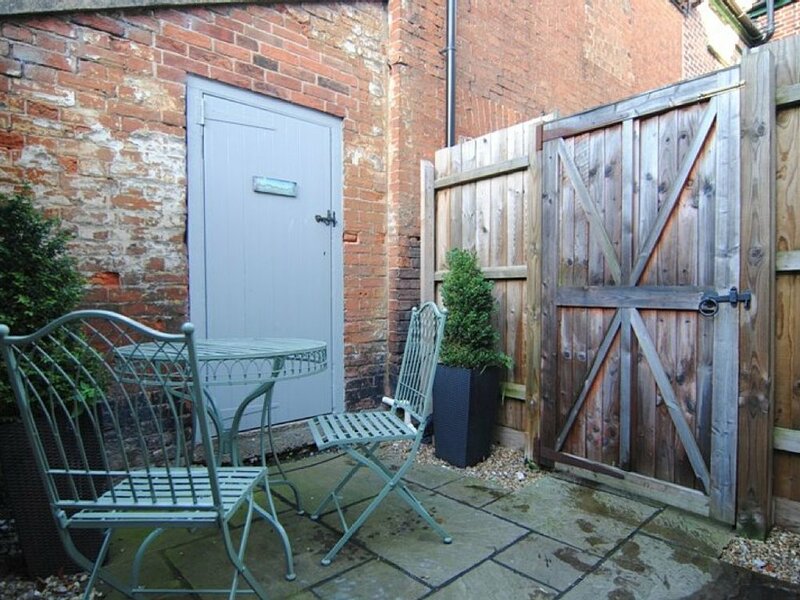 A door from the kitchen leads to a courtyard garden and an outbuilding with a washing machine and tumble drier, toilet and power shower. The cottage is thoroughly cleaned before each stay, beds are made up and a bath towel and hand towel are provided for each guest. Central heating is included in the rental price. Sorry, but no pets! The cottage is strictly no smoking. 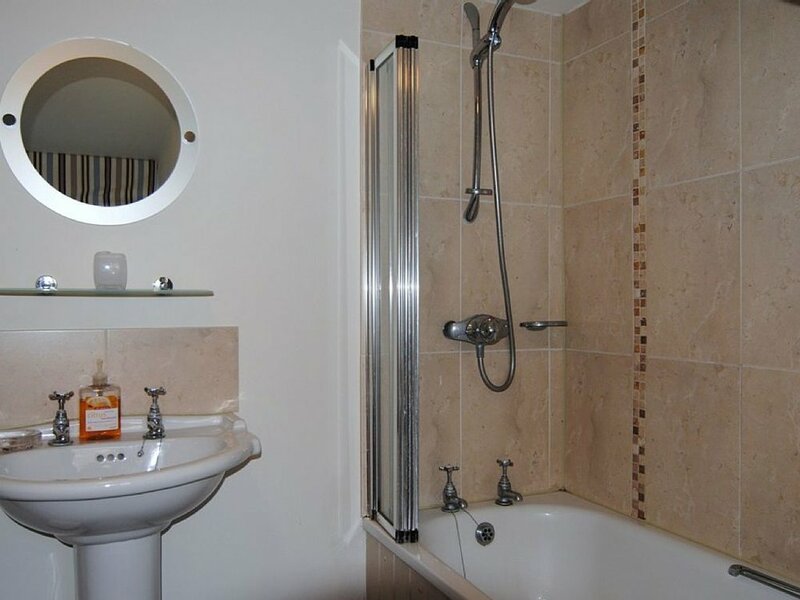 Elgin Cottage is located at the top of the High Street and is easy to find as it is opposite Barclays Bank ATM where there are two short stay parking bays that can be used for easy unloading from your car. The full address is 6 High Street, Wells-next-the-Sea, Norfolk NR23 1EP (see pin on map below). Parking is not off-street but usually spaces can be found in The Buttlands behind the cottage or in nearby streets.